The War of the Roses is about to get a whole lot nastier. I reviewed War of the Roses a few days ago and found it flawed but still wickedly fun. One of its biggest shortcomings is a simple lack of gameplay variety, as only two game types are currently available, Team Deathmatch and Conquest. But Paradox Interactive has announced a couple of coming updates that will open up brand-new ways and means for players to inflict truly medieval levels of violence upon one another. The first content update, scheduled for November, will add seven new weapons to the game, including a horn-spanned crossbow, a gothic mace and the famous Hospitaller pole-axe, plus new Hospitaller-crafted heavy armor with ten new paint options, a helmet and four new visors. Next up, and far more interesting and significant, are two new game modes, beginning with "Pitched Battle," which sounds like it could be a battle-to-the-death with no respawns. The second new gameplay mode has not yet been revealed. Finally, two new maps inspired by the winter battles of Wakefield and Towton, which took place in December 1640 and March 1641, are being added to the rotation. Paradox says the maps will "introduce a new weather mechanic that will set snow and sleet against ally and adversary alike." The new content will be added to the game automatically, with items made immediately available for purchase with in-game currency, and a beta test of the "Pitched Battle" mode is also expected to begin very soon. 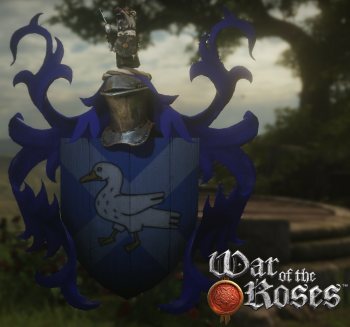 To find out more, check out the official War of the Roses website at waroftherosesthegame.com.